Set in a popular location this extended, three bedroom semi-detached house will work perfectly for modern family life. Hellesdon is set around four miles North West of Norwich city centre and retains its own identity having been an outlying village until the twentieth century. Set close to the ring road it has excellent transport links to explore the city and the surrounding areas and there are regular bus services into the city centre. The area benefits from an Asda supermarket, several convenience stores and pubs, along with six schools covering all ages. 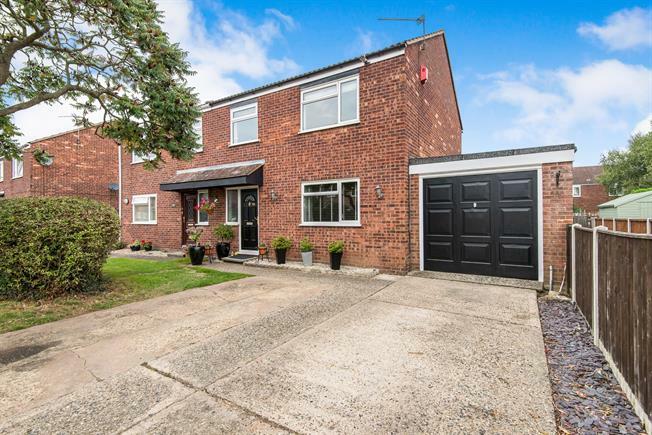 A great family home, this semi-detached house has been extended to offer modern families space to grow. Entered by a hall with plenty of storage a door leads to the well proportioned lounge overlooking the front garden. There are double doors leading to the dining room at the rear which in turn opens onto the kitchen. The integral garage offers a parking for a car, storage, or could be converted into extra accommodation if required. The first floor holds three well matched bedrooms along with the family bathroom which compliments the ground floor WC. To the rear is a secluded and enclosed garden perfect for children to play. To the font is a wide drive providing parking for several cars.